The first snow has fallen in the high country and season’s first frost obliterated our tomatoes last night. Summer is officially over and I’m relishing a season well-spent. I’ve always thought I understood the expression “halcyon days of youth”. But now I wonder exactly who’s youth it refers to. Seems I’m having a pretty halcyon time now. The kids are getting older and tougher. Both of them love camping and I’m pleased that we managed a whole nine “intents” nights this year. I suppose we could maybe cram in another couple, but it’s getting cold at night. 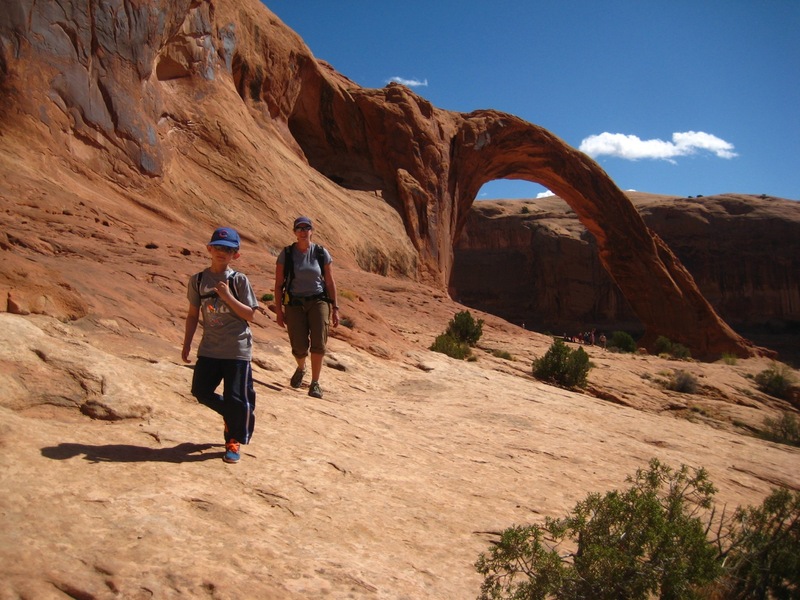 There were three nights in Utah in March with various hiking and canyoneering adventures. Arches were hiked to and explored, hoodoos were thoroughly befriended, and slot canyons were plumbed. Read about that here. Just before the 4th of July, we spent three nights at Steamboat Lake amidst some pretty inclement weather. The new tent (the purchase of which was envisioned after some spring break inclement weather) held up beautifully and I will never travel without pool squirters again. Despite this, we managed a couple really nice family adventures including a hike most of the way up the impressive Hahn’s Peak. Bailing out the tent pad with pool squirters. Daddy, I won’t get off this rock until you take my picture! Finally drying out at the campsite. The importance of a good hiking stick cannot by exaggerated! Our high-point on Hahn’s Peak. Given how often that summit gets hit by lightning, this seemed wise. It doesn’t technically count as camping, but we also spent three nights with Lisa and Martin and their kids in the “cabin” they take care of in Meredith, CO (where? Look it up. It’s in the middle of nowhere.) We didn’t do much in particular, just hung out and explored the woods and streams far from the tourists. In early August, we joined a large group of friends for two nights in RMNP. Sixteen kids between the ages of 4 and 10 and 13 adults (mostly related to the kids, but not entirely). Both groups were autonomous enough over short time periods that everyone enjoyed themselves immensely. There was even talk that we might be getting back our pre-kids lifestyle… at least a little bit. Finally, we crammed in one late-season jaunt for our anniversary over to the west side of RMNP to camp amidst the moonlight and bugling elk. 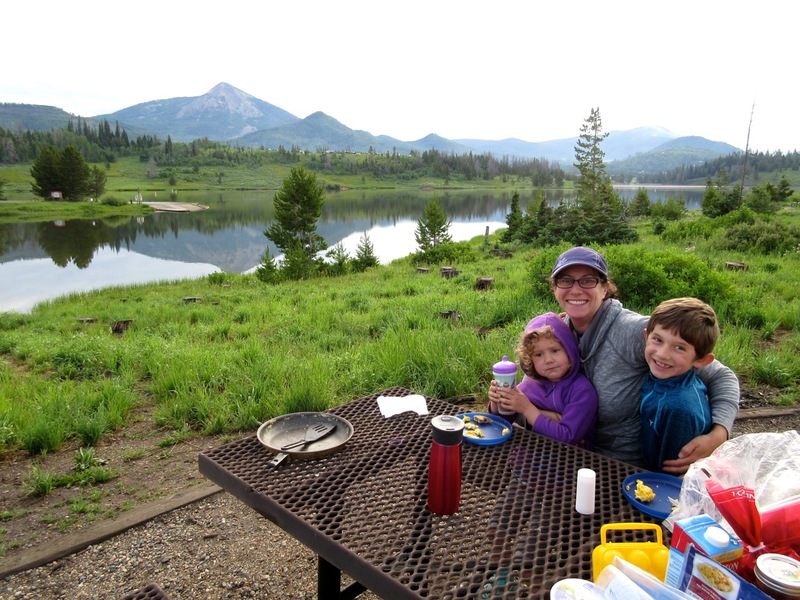 This entry was posted in family, peak, retrospective and tagged adams falls, bierstadt lake, Blue Lake, campfire, colorado river, family camping, glacier basin, hahns peak, meredith, mt. 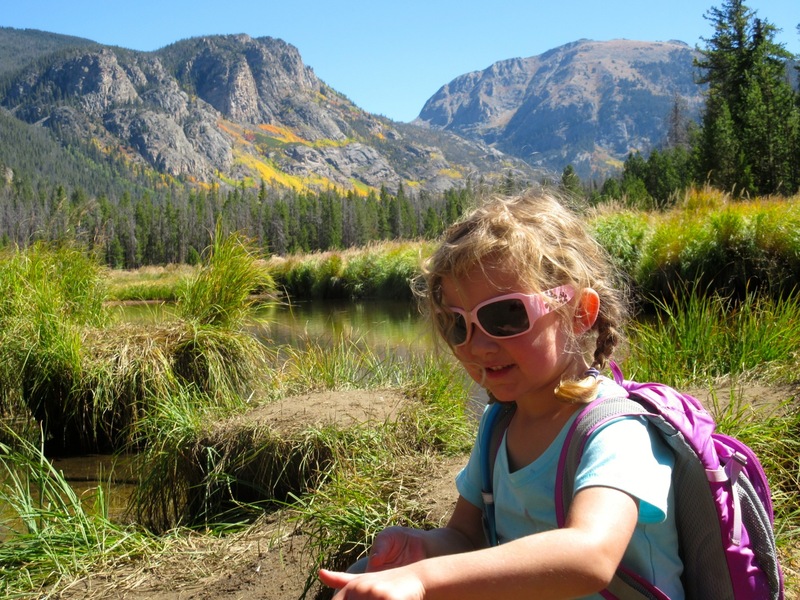 zirkel wilderness, RMNP, steamboat lake, timber campground. Bookmark the permalink.